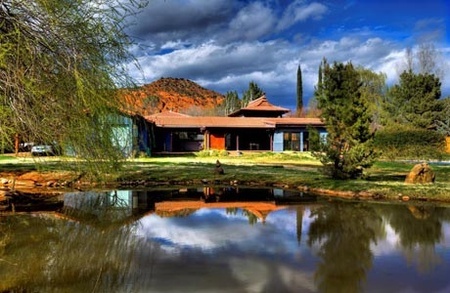 The Alternative to Meds Center: Located in beautiful Sedona Arizona, the Alternative to Meds Center is a residential behavioral health program offering Alternative Mental Health Care Programs for Alcohol Drug Treatment and Psychiatric Medication Withdrawal. "Don't spend another year dependent on drugs. Have the life you deserve now." Based on the Orthomolecular and Naturopathic Models. Residential Holistic Detox Retreat :Clinical Nutritionist, Psychiatrist, Psychotherapist, Acupuncturists, Massage therapy, Chiropractor. We are a Residential Holistic Health Practice giving guests an alternative to taking medications with support for slow titration, utilizing holistic practitioners to support a healthy lifestyle. "Sacred Space is a Holistic Health practice that supports your journey towards health and success in life. We are located in Historic Anderson Springs California about 2 hours north of San Francisco. Sacred Space is our way of expressing our love for life, health and happiness. You were born with a right to perfect health. Often however we may have been given less then adequate support for accomplishing that. Give yourself the healing you deserve. Come to nature to bring yourself to your most relaxed and natural state. Here you will find yourself; amongst the birds, the trees, and the tranquil sound of our mountain stream." DISCLAIMER: It is absolutely essential that anyone contacting or seeking services from the providers take full personal responsibility for evaluating the service providers and their services or products. This listing of services is provided free as a convenience to potential patients or clients without any warrantee concerning the identity, value, quality or ethics of the practitioners or facilities. We cannot take responsibility for the services listed. The Center for the Study of Empathic Therapy, Inc. and its members, officers and board of directors cannot and have not reviewed or evaluated the claims made by any service providers and take no responsibility for their claims or the quality of their services. National St. Gregory Retreat Centers provide innovative treatment for those struggling with substance abuse through a focus on healing the whole person. Their state-of-the-art medical detox protocols provide relief not only for those detoxing from alcohol and illicit substances but also to those who are transitioning away from dependence on psychiatric medications. The St. Gregory Recovery Program focuses on addressing the underlying causes of substance abuse and providing hope for a better life.